Before an order for child support can be established, legal paternity must be established. See Establish Paternity for more information. 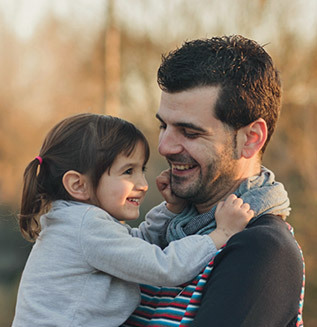 If paternity is not an issue, the first step in establishing a child support order is to determine the amount of child and medical support to be paid. This is determined by the Oregon Child Support Guidelines. These guidelines are required by law and used in all child support cases. The guidelines help determine how much money each parent should contribute for the care of their child. Guidelines are based on an income-share formula in which the incomes of both parents are considered. The guidelines also take other expenses into account, such as the amount of time the child or children spend with each parent, child care, medical insurance, and other children the parents are supporting. Child support orders usually include a provision for health coverage or medical support. See Medical Support for more information. Both parents may consent to child support. This means both parents agree to the amount of support each of them is responsible for based on the guidelines. If either parent does not agree on the amount of support payments, a hearing may be requested. During the hearing, an administrative law judge will determine the appropriate amount for support payments. Learn more about the administrative hearing process. To estimate how much child support payments may be, the Oregon Child Support Program has created a calculator that uses the Oregon Child Support Guidelines. For more information, contact your local child support office. This application is for parents to set up or establish a child support order. Other steps may need to be taken for a parent to receive payments. You will first establish an online account, and then complete an application for services. This process usually takes 30-120 days, but may be longer or sooner depending on your family’s needs. The Oregon Child Support Program receives a referral or an application. A referral comes from a state agency because a child is receiving public assistance from the state of Oregon. An application for child support services comes from a parent or caretaker. The Child Support Program determines if the case needs an order. If so, the Child Support Program will confirm the parent’s contact and financial information. This information is used to generate a proposed order for child support using the Oregon Child Support Guidelines. This process generally takes 30 – 45 days, but can take longer if a parent must be located or if the child’s paternity must be legally established. Please see Locating a Parent or Establish Paternity for more information. The Child Support Program serves the proposed order. Once a proposed order is created, the parents and any other parties receive copies. The time for this step can vary because it may take repeated attempts to serve the proposed order. The average time is 30-90 days. If neither parent contacts the Oregon Child Support Program within 30 days, the proposed order will be finalized 34 days after it was served. If a hearing is requested, additional steps to take. Please see Administrative Hearings Process for information. The effective date of a child support order is the date the order is final.